Have you found a leak in your roof after a recent storm? Do you have obvious problems with your roofing system such as missing or lifted shingles? Maybe you’re missing roof flashing, or your gutters are no longer working correctly? Roofing problems are serious business because if left alone and ignored they can end up costing you a lot of money! If you’ve discovered a problem with your roof it’s time to call on a professional to help identify the problem and come up with a solution to solve it once and for all. A Better Roof For Less is a full service roofing contractor based out of Genesee County, Michigan. We specialize in roof repair for all types of residential structures and all types of roofing repairs. Whether you need the roof on your single family home repaired, a shop or garage, a flat roofing system, or even a multi-family structure like a townhome, condo, or apartment. 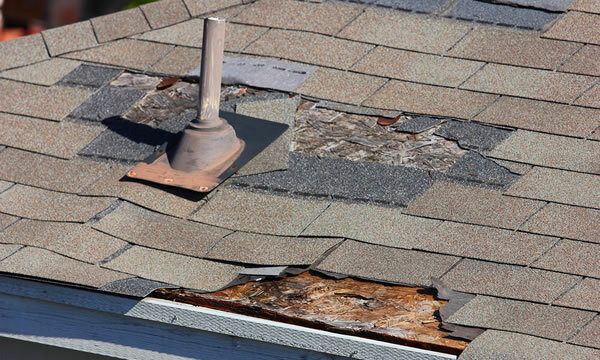 Roofing Repairs are often required due to a severe storm that may have affected the area, lack of proper roofing maintenance, Improper Installation, or — it may be that your roofing material is starting to break down. There can be a whole host of reasons your roofing is failing. Whatever the cause of your roofing damage A Better Roof For Less can repair your roofing for you. Your roof damage can manifest itself in several ways but the most common complaint we usually get is that someones roof is leaking. This could be due to any of the events mentioned above including poor flashing installations, inadequate ventilation installations and more. For nearly 20 years we’ve been helping Flint Michigan and Genesee County home and business owners inspect and repair their damaged roofs. We have experience working with insurance companies and can make the process as painless as possible for you. We understand the paperwork process and how to speak to your adjuster about your roofing repair requirements. If your roof has been damaged and you need to have a local professional complete the roofing repairs for you, then you should look no further than A Better Roof For Less. Our highly experienced roofing team can assess and diagnose your roofing repair problem and recommend the best course of action for your unique roofing repair situation. We’ll make short work of your roofing repair project and will make sure the job is done right, for the least amount of money possible.